I love to talk to children - or, to be more specific, I love to listen to children. Their perspective is clear, simple, and direct. There is a reason for that. They haven't been messed over by the world. They are optimistic, confident, and brimming with infinite intelligence, which is their natural state. Best of all, they will share all of that with you, if you will only do one thing - LISTEN. And don't kid yourself, you can't fool a child. They know when you are listening and when you aren't, and if you aren't listening, they aren't talking. For reasons you already know, I cannot tell you the name of the child in the photograph, nor where I met her. However, with her mother's permission, I am going to tell you a couple of things about her, and share a bit of a conversation she and her mother recently had. 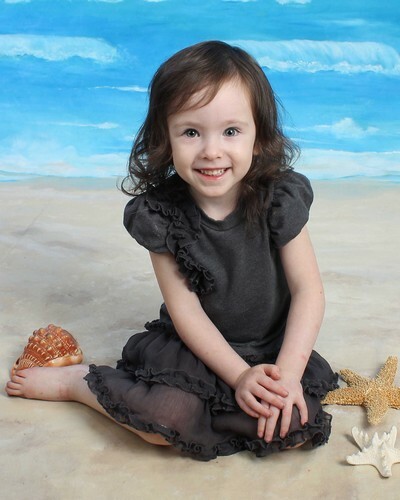 She is a beautiful, pixie-like, three years old, who is articulate, thoughtful, and open. Because she is "advanced" for her age, (and you can believe me on this - "advanced" is a gross understatement), she was recently early promoted from the three-year-old class to the four-year-year-old class at her day care. At the end of her first day in the four year old class, her mother, who really talks to her, and in turn, seriously listens to her, asked, "How was your first day with the four year old children?" The very grown up three-year-old considered the question for a moment, then said, "Well, I didn't kill myself and I didn't bleed." I don't know what her mom said to that, but I think that in the sometimes crazy world that all of us share, her answer was a simple, to-the-point report of a successful day in the face of what could have been a traumatic situation. If you want to lighten your day, talk to a child, and as you do that, remember what it was like to be a child. It's not to late to reclaim that experience. Age has nothing to do with it.